Discover how CBD can make your Black Friday experience a lot merrier! 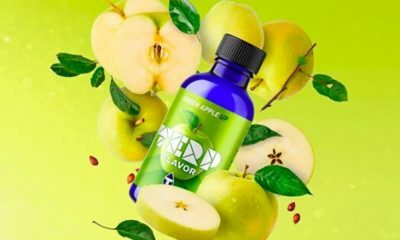 Save 50% OFF this Black Friday & Cyber Monday when your order with Medix CBD! Want to capitalize on Black Friday deals? If so, be prepared to wake up before the crack of dawn and wait in insanely long lines all morning long with other baggy-eyed individuals hoping to get the best bang for their buck. If this sounds a bit much to handle, discover how CBD can make your Black Friday experience a lot merrier! Also, this Black Friday and Cyber Monday, you can save 50% on your order when you shop with Medix CBD! Finding the strength to get out of your cozy cocoon to go fight the crowds can be a grim task, especially after a full day of gobbling down turkey, sweet potatoes, stuffing, and all that other good stuff! CBD oil is the perfect thing to help kick off your morning right with a grounded, focused energy. CBD is known to help reduce levels of anxiety, including stress from shopping. Taking CBD oil in the morning can put you in a motivated mindset to power through a long day filled with shopping, carrying bags, and waiting in lines. Medix CBD’s vape cartridges are easy to take on the go, so you can puff throughout the day if you need a boost of energy and focus. Possibly the worst thing about Black Friday is having to wait in lines that appear to be never-ending! Camping outside of stores for hours can be brutal, especially if the weather isn’t cooperating or you’re not into big crowds. Because CBD can help relieve stress, it can make your wait experience more relaxing and enjoyable. Medix CBD edibles and gummies are a delicious treat to keep in your bag. Simply pop one when you start feeling anxious or bored and see how much relaxed you feel. These low-dose CBD sweets help boost your patience and give off a relaxed vibe that puts even the crankiest of people into a better mood. CBD is one of over 100 chemical compounds known as “cannabinoids” that are found in cannabis plants. Although CBD is derived from cannabis, it does not produce a “high” when used or consumed due to it being non-psychoactive. The active ingredient in marijuana is THC, which is found in insignificant amounts throughout CBD products. This amount of THC is too low to be detected on any drug test. Millions of people take CBD daily to relieve their anxiety, but it can also be used to reduce pain. And inflammation After a long shopping day, don’t be surprised if your back and legs start getting a bit sore. If this occurs, the Medix CBD topical cream is the perfect way to alleviate any swelling and inflammation in a completely way! With Black Friday and Cyber Monday just around the corner, Medix understands that you want to get the best CBD deals available. So, in recognition of both shopping holidays, Medix is offering 50% off the entire site on Black Friday and Cyber Monday respectively. Don’t miss the opportunity to take advantage of the biggest deal of the season! Don’t sweat Black Friday and Cyber Monday this holiday season. CBD can help keep you relaxed and focused – you’ll love hunting for the best deals!